Postal wagons at the postal sorting facility in Sion, Switzerland. Mail between regional cities is transported by rail, to be delivered by postal bus, vans and cycles at a local level. The mail or post is a system for physically transporting documents and other small packages; or, the postcards, letters, and parcels themselves. A postal service can be private or public, though many governments place restrictions on private systems. Since the mid-19th century national postal systems have generally been established as government monopolies with a fee on the article prepaid. Proof of payment is often in the form of adhesive postage stamps, but postage meters are also used for bulk mailing. Modern private postal systems are typically distinguished from national postal agencies by the names "courier" or "delivery service". Chinese sources often claim mail or postal systems dating back to the Xia or Shang dynasties, which would make their service the oldest in the world. The earliest credible system of couriers was initiated by the Han Dynasty (206 BC–AD 220), who had relay stations every 30 li along major routes. The Tang dynasty recorded 1,639 posthouses, including maritime offices, employing around 20,000 people. The system was administered by the Ministry of War and private correspondence was forbidden from the network. The Ming network had 1,936 posthouses every 60 li along major routes, with fresh horses available every 10 li between them. 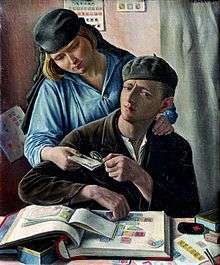 The postal network was a major part of the corruption in the later part of the dynasty. The Qing, prior to the foreign occupation and reorganization of the Imperial Mail, operated 1,785 posthouses throughout their lands. The first well-documented postal service was that of Rome. Organized at the time of Augustus Caesar (62 BC–AD 14), the service was called cursus publicus and was provided with light carriages (rhedæ) pulled by fast horses. By the time of Diocletian, a parallel service was established with two-wheeled carts (birolæ) pulled by oxen. This service was reserved for government correspondence. Yet another service for citizens was later added. 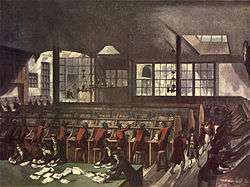 The Lombard Street General Post Office in London, 1809. Plate commemorating the launching site of the first airmail carrier (1870) in Metz, France. In the United Kingdom, prior to 1840 the postal system was expensive, confusing and seen as corrupt. Letters were paid for by the recipient rather than the sender, and were charged according to the distance the letter had travelled and the number of sheets of paper it contained. 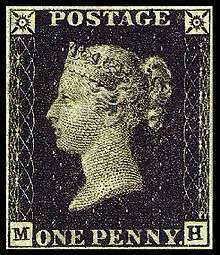 Sir Rowland Hill reformed the postal system based on the concepts of penny postage and pre payment. In his proposal Hill also called for official pre-printed envelopes and adhesive postage stamps as alternative ways of getting the sender to pay for the postage, at a time when prepayment was optional, which led to the invention of the postage stamp, the Penny Black. A U.S. railway post office. Worldwide the most common method of prepaying postage is by buying an adhesive postage stamp to be applied to the envelope before mailing; a much less common method is to use a postage-prepaid envelope. Franking is a method of creating postage-prepaid envelopes under licence using a special machine. They are used by companies with large mail programs, such as banks and direct mail companies. The privacy of correspondence is guaranteed by the constitutions of Mexico and Brazil, and is alluded to in the European Convention on Human Rights and the Universal Declaration of Human Rights. The control of the contents inside private citizens' mail is censorship and concerns social, political, and legal aspects of civil rights. International mail and packages are subject to customs control, with the mail and packages are often surveyed and their contents sometimes are edited out (or even in). Modern alternatives, such as the telegraph, telephone, telex, facsimile, and email, have reduced the attractiveness of paper mail for many applications. These modern alternatives have some advantages: in addition to their speed, they may be more secure, e.g., because the general public can not learn the address of the sender or recipient from the envelope, and occasionally traditional items of mail may fail to arrive, e.g. due to vandalism to mailboxes, unfriendly pets, and adverse weather conditions. Mail carriers due to perceived hazards or inconveniences, may refuse, officially or otherwise, to deliver mail to a particular address (for instance, if there is no clear path to the door or mailbox). On the other hand, traditional mail avoids the possibility of computer malfunctions and malware, and the recipient does not need to print it out if he wishes to have a paper copy, though he would need to scan it if he wishes to have a digital copy. First-class mail in the U.S. includes postcards, letters, large envelopes (flats), and small packages, providing each piece weighs 13 ounces or less. 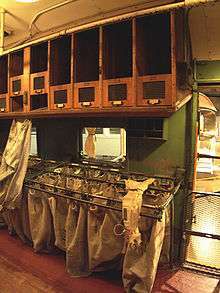 Delivery is given priority over second-class (newspapers and magazines), third class (bulk advertisements), and fourth-class mail (books and media packages). First-class mail prices are based on both the shape and weight of the item being mailed. Pieces over 13 ounces can be sent as Priority Mail. As of 2011 42% of first-class mail arrived the next day, 27% in two days, and 31% in three. The USPS expected that changes to the service in 2012 would cause about 51% to arrive in two days and most of the rest in three. In the UK, First Class letters are simply a priority option over Second Class, at a slightly higher cost. Royal Mail aims (but does not guarantee) to deliver all First Class letters the day after postage. 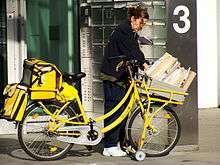 Newspapers and magazines are also sent through postal services. Many magazines are simply placed in the mail normally (but in the U.S., they are printed with a special bar code that acts as pre-paid postage - see POSTNET), but many are now shipped in shrinkwrap to protect the loose contents of the magazine. 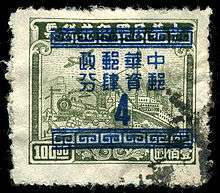 During the second half of the 19th century and the first half of the 20th century, newspapers and magazines were normally posted using wrappers with a stamp imprint. ↑ In Australia, Canada, and the U.S., "mail" is commonly used both for the postal system and for the letters, postcards, and parcels it carries; in New Zealand, "post" is more common for the postal system and "mail" for the material delivered; in the UK, "post" prevails in both senses. 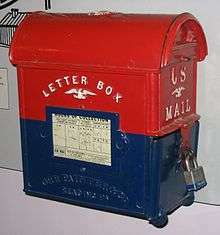 However, the British, American, Australian, and Canadian national postal services are called, respectively, the "Royal Mail", the "United States Postal Service", the "Australia Post", and "Canada Post"; in addition, such fixed phrases as "post office" or "junk mail" are found throughout the English-speaking world. ↑ "mail, n.2". Dictionary.com (Unabridged (v 1.1) ed.). 2007. ↑ Webster's Seventh New Collegiate Dictionary, G. & C. Merriam Company, 1963, pp 662–3. ↑ Universal Postal Union. "History". Accessed 2 October 2013. ↑ "Rowland Hill's Postal Reforms". The British Postal Museum & Archive. Retrieved 27 December 2014. ↑ Baldwin, N. C. (1960), p. 5, Fifty Years of British Air Mails, Francis J.Field Ltd.
↑ "United States Code: Title 18, 1702. Obstruction of correspondence". Legal Information Institute of Cornell University Law School. Retrieved September 14, 2010. 1 2 3 Back when spies played by the rules, Deccan Herald, January 17, 2006. Retrieved 29 December 2006. ↑ "Significant Years in U.S. Postal History". United States Postal Service. 2015. Retrieved 13 May 2015. ↑ "Treaties". Postal Matters. United States Embassy, Bulgaria. 25 June 1990. Retrieved 13 May 2015. 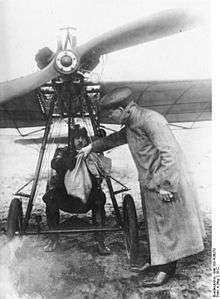 ↑ "First-Class Mail". USPS. Retrieved 2009-01-09. ↑ "Postal service cuts mean slower mail in 2012". CBS News. Associated Press. 2011-12-05. Retrieved 8 July 2013. ↑ e.g. Railtrack Plc v Gojra, Kinch v Bullard and most recently Blunden v Frogmore Investments Ltd.
↑ "Postal Service Helps Businesses "Stick" to their Message". 2005-04-05. Retrieved 2007-07-17. ↑ "Marketing 'Notes' Extended for Additional Year: U.S. Postal Service Governors Issue Decision on Repositionable Notes". 2007-07-06. Retrieved 2007-07-17. ↑ "Cut-Out Postcard - Postage Due". Members.aol.com. Retrieved 2008-10-24. Aiyangar, Sakkottai Krishnaswami; S. Krishnaswami A. (2004). Ancient India: Collected Essays on the Literary and Political History of Southern India. Asian Educational Services. ISBN 0-8018-8359-8.